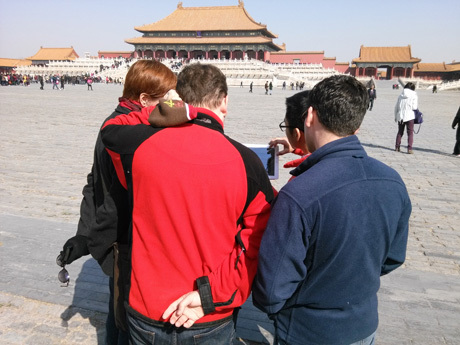 Find the hidden halls in the Forbidden City. Explore a top-ranked section of the Great Wall. Meet the Terracotta Army and make a mini warrior with a local family. Visit the only place in the world where you can feed a giant panda. 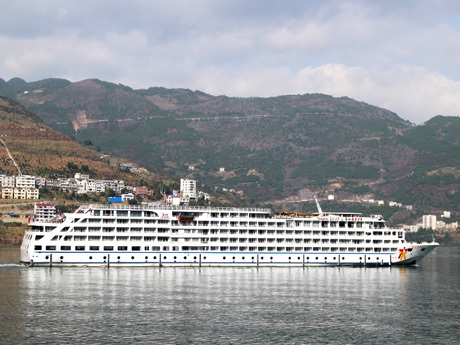 Enjoy different scenery every day on a relaxing Yangtze River cruise. Experience the charm of old Shanghai during an in-depth Bund visit. This 13-day suggested itinerary covers different elements of China: the historical heritage sites, natural scenery, unique culture, and adorable giant pandas. It makes an ideal tour for first-time visitors who are panda fans or those traveling with children. The itinerary below is only one possibility. Tips to tailor-make your trip are offered as inspiration. Send us details of your preferences and our travel experts will customize this trip to suit your interests, tastes, and budget. Your private guide will be ready to meet and greet you at the arrivals hall. A comfortable private car with an experienced driver will transfer you directly to your hotel. Your guide will help you to check-in. Worried about jet lag? You may start the tour with a relaxing free day to adjust. If you are feeling energetic, we can fill your first day with activities you enjoy. For your first impression of China, be impressed with the magnificence of Beijing. Wander through Tian&apos;anmen Square, the largest city square in the world, and arrive at the Forbidden City, the largest imperial palace in the world. With the help of your private guide, have a little adventure in the previous home to emperors: find some interesting places you would never find by yourself and hide away from the noise of the tour groups. After lunch at a local restaurant, explore the centuries-old hutong alleyways to get a taste of the locals&apos; lifestyle. The best way to experience the hutongs is to simply wander around the alleys, either on foot or on a rickshaw. Would you like a more interactive tour? Various activities are available in the hutongs: making dumplings in a local family&apos;s home, trying your hand at Chinese calligraphy, or applying Peking opera facial makeup. Feel free to inform us which activity you prefer in form to the right. Freshen up in the morning and start your day at the Temple of Heaven, which was the place where emperors prayed for a good harvest. Interact with the locals and join them to experience their healthy lifestyle. 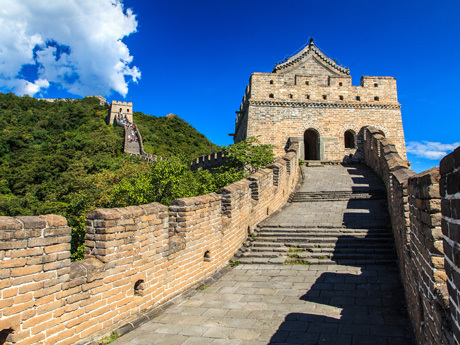 Then continue to the Great Wall at Mutianyu, which is the section ranked top on TripAdvisor among all the Great Wall sections for its picturesque scenery and beautifully-restored architecture. Walk leisurely through the watchtowers, enjoying a superb view of the wall snaking across the mountains. The cable car ride up to a good section of the Great Wall is included. You may choose to descend by cable car or toboggan. For a unique experience, a visit to Simatai, the only Great Wall section that&apos;s lit up and open at night, is highly recommended. If you love hiking, we can arrange a 2-hour, 4-hour, or even multi-day wild Great Wall hiking experience for you. Walk around the tranquil Summer Palace at a leisurely pace, and enjoy the 300-year-old royal garden. Take a pleasant boat ride on the lake and have a stroll in the long corridors to view the exquisite paintings on the ceilings. Immerse yourself in traditional Chinese architecture. Enjoy the some Beijing Rroast Duck for lunch. Watch the exquisite cutting skills of the chef, taste crispy duck skin, and learn how to eat it in the correct way. In the afternoon, you will be driven to the airport for your flight to Xi&apos;an. Your Xi&apos;an guide will be waiting for you and will transfer you to your hotel. A high-speed train journey from Beijing to Xi&apos;an is a recommended alternative to taking a flight. It takes about 5 hours and reduces the cost slightly. Everything in Xi&apos;an is about history. The Terracotta Army, with each figure being unique, has guarded Emperor Qin Shi Huang&apos;s tomb since 210 BC. Have a silent conversation with the warriors and listen to their stories spanning over 2,000 years. Then discover a local craftsman&apos;s cave dwelling and learn how to make clay warriors with your own hands. After lunch, return to the city area and visit the 600-year-old ancient city wall. Walking along Xi&apos;an City Wall provides a good view of the city. You can also rent a bike to cycle around the wall. Xi&apos;an is a good destination for tasting Chinese dumplings. 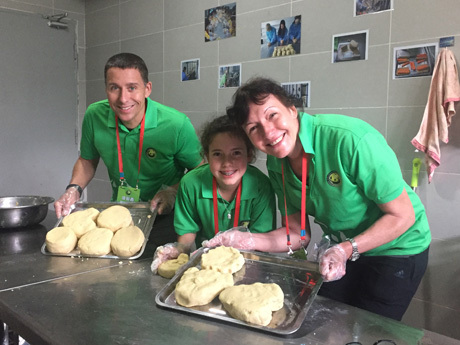 If you are a food lover, we can arrange a local family visit so you can learn how to make dumplings, or you can enjoy a dumpling banquet. 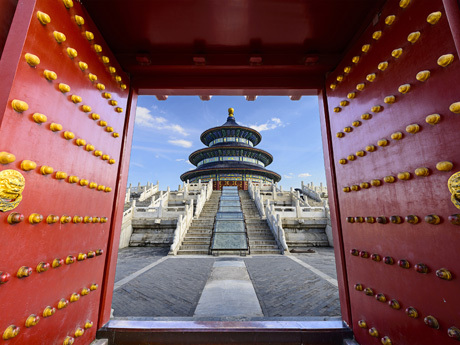 Discover more ancient history at Shaanxi History Museum and Big Wild Goose Pagoda, then head to the Muslim Quarter and wander through the alleys to taste the local Muslim cuisine. After lunch, hop onto a high-speed train for a 4-hour journey to Chengdu and experience the technological development of China. Chengdu is the only place in the world where you can get close to giant pandas. Rather than just taking a glance at them in a zoo, you will get very close to these cuddly creatures and learn more about them during the Panda Keeper Program in Dujiangyan Panda Base. 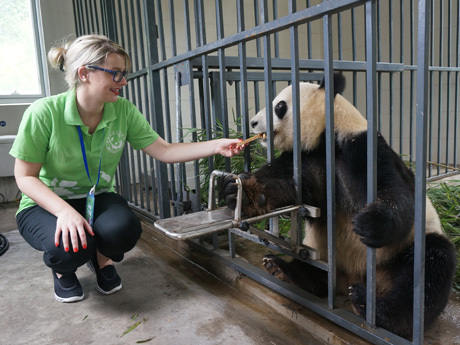 Under the guidance of an English-speaking member of staff, you will clean the panda enclosures, feed a panda by hand, watch panda movies, and make cakes for them. Have a simple Chinese lunch with the staff in their canteen. This highest-rated experience will provide you with the memory of a lifetime. Have a close-up photo with a panda: A donation program allowing you to take pictures with a panda is not included in the Panda Keeper Program. The donation amount is 1,800 yuan (270 USD) per person. Only 20 visitors are allowed to do this each day. If you are interested, please inform us as quickly as possible. Sichuan cuisine and rice wine are the most popular kinds in China. Chengdu, the capital of Sichuan, is the best place to taste them. Start your day at Jinli Old Street where you can taste authentic local snacks. Try some famous foods, such as bean jelly in chili sauce, sweet potato noodles, and Sichuan-style wontons. If you are brave enough, try a rabbit&apos;s head in chili sauce. Then, visit the Rice Wine Museum, a restoration of an ancient Chinese brewery cellar. Guided by a bilingual expert, you will have the opportunity to find out how the ancient brewery works, before enjoying two complimentary glasses of rice wine. After the tour, your guide and driver will transfer you to the railway station so you can catch the high-speed train to Chongqing. Your guide in Chongqing will arrange dinner for you and help you to check-in for a Yangtze River cruise that departs at 9pm. Your travel expert will select the cruise and cabin based on the schedule and your preferences. Enjoy a leisurely morning watching the scenery of riverbanks passing by. 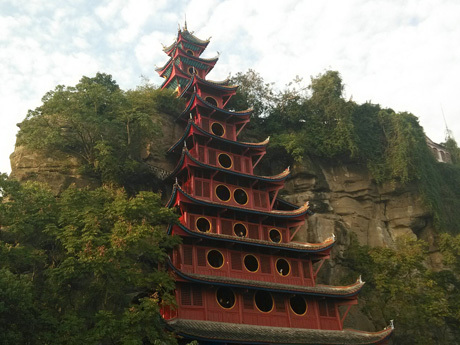 In the afternoon, have a short visit to Shibaozhai – a magnificent red pavilion providing a walkway to the top of a solitary hill – and see the spectacular views of the surrounding area. An optional tour to Fengdu Ghost City awaits those who are interested in mystical matters. 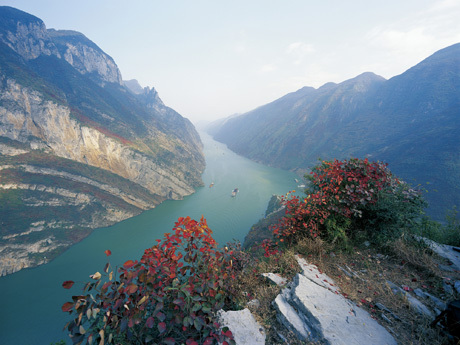 You&apos;ll pass through Qutang and Wu Gorge, two of the magnificent three gorges, during the morning, so be ready with a camera. The majesty of nature presents itself to you as you sit back and relax. 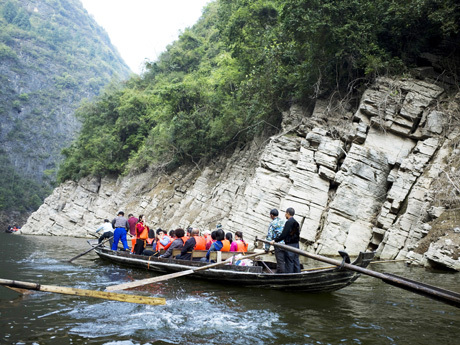 The afternoon is dedicated to visiting Shennong Stream, which has rushing waterfalls and an ancient plank path leading to suspended coffins in a cliff. In the evening, the ship&apos;s crew will give a performance for your entertainment. The Three Gorges Dam is the highlight of the day, and a visit to the top of the dam gives you some great photo opportunities. The vast ship locks are a wonder of engineering, but seeing is believing. 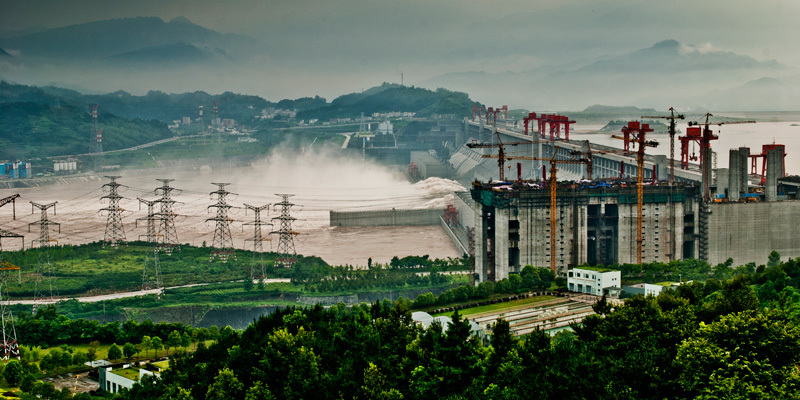 You will learn more about the world&apos;s biggest hydroelectric project firsthand. After arriving in Yichang, enjoy a quick lunch and you will be taken to the airport for your flight to Shanghai. Do more than just take one or two selfies on the Bund. Travel back in time to the golden age of the Bund in the 1920s during our In-Depth Bund Culture Discovery Tour. Go into some of the old Bund buildings and listen to their stories. See the room that Albert Einstein stayed in. Yu Garden presents exquisite examples of traditional landscaping, and Shanghai Old Street will show you the historical lifestyle of the Shanghainese. Enjoy lunch and ascend the tallest building in China — Shanghai Tower. From this building, which is the highest outside of Dubai, you will not only enjoy a panoramic view of Shanghai but will also see the future of China. Every element of the tour above can be tailored. Feel free to tell us yourideas and we will be happy to make adjustments for you. More destinations: Huangshan, Yunnan and Tibet. Inform us of your interests and we will offer you some recommendations. Various types of accommodation are available, including famous 5-star hotel chains, 4-star hotels in the best locations, good value 3-starhotels, or boutique hotels that reflect the style of the region. Whatever your accommodation preferences are, our travel experts will seek out and find the perfect one for you. China is a huge country, so to make your travel experience more efficient, we usually arrange flights to connect your destinations. 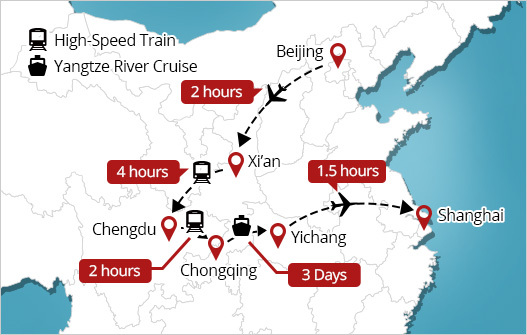 China&apos;s high-speed rail network is afast-paced way to travel. We recommend taking high-speed trains for journeys of less than 6 hours to interested customers — please tell us if you are one of them. Lunches at popular local restaurants areincluded for you so you can taste authentic Chinese food. Your guide will assist you with ordering the dishes. Vegetarian, halal, kosher, Indian, or gluten-free — all your dietary requirements can be taken care of by our experienced private guides. Let us know if you have any of these dietary requirements during your booking.